Gainesville's Pedro Santos, center, celebrates with teammates during his first half hat-trick in the Red Elephants' 5-1 win over Chestatee on Tuesday in Gainesville. GAINESVILLE — There may have been little more than bragging rights on the line Tuesday night, but for Gainesville boys soccer it was as close to a must-win as it gets. After dropping two straight in region play and then taking a week off for spring break, the fourth-ranked Red Elephants needed a response against Class 4A No. 2 Chestatee. Pedro Santos ensured Gainesville got just that. The junior standout scored a first-half hat-trick to spark a 5-1 win over the War Eagles at City Park, giving the Red Elephants (12-2) a boost as they reset for a fight to the finish in Region 8-6A. "We're not in the position I'd like to be in right now; we had two bad losses, and we were kind of doubting ourselves a little bit," Gainesville boys coach Elie Viviant said. "But this was really good for us tonight. We mixed up how we played a little bit -- we went long, we went short, and we got to play everybody. 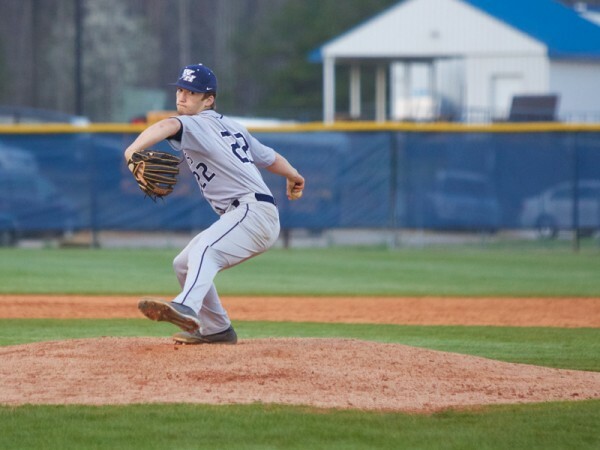 And that was against a very good Chestatee team." The War Eagles (12-2) had no answer for Santos in the first half. The junior signaled his intentions from kickoff, scoring the opener on Gainesville's first real attack, slamming the ball into the net from close-range for a 1-0 lead after just 2:24. The striker was only getting warmed up, however, and Santos doubled the Red Elephants' lead with 25:55 left in the first half. This time he out-leaped the War Eagles defense to get his head to a Cristian Rodriguez free kick. Chestatee goalkeeper Steven Martinez got down quickly to deny the initial shot, but Santos prodded home the rebound for a 2-0 advantage. Within seconds, Santos claimed his hat-trick. The third strike was also the most impressive, as he gathered a Rodriguez cross, held off one defender while stumbling, regained his footing before beating another and then broke into the penalty area where a feint sent Martinez the wrong way to allow Santos to roll the ball into an open net. "Pedro has been a big-game player for us before. He got us some big goals in the playoffs last year, and I hope we get on a roll like that again," Viviant said. "I've played him in a lot of positions, and he knows when we play in tough games we're going to ask him to step up for us." The 3-0 advantage with 23:59 left in the first half -- combined with Gainesville's early play looked unassailable. But Chestatee was not about to give in, and the War Eagles began to put the Red Elephants' goal under pressure over the final minutes of the half. Austin Manzo fired inches wide off a low cross from Mateus Jennings with nine minutes remaining before Kevin Perez rewarded the War Eagles' efforts with just 2:50 left in the half. Perez reacted quickly to a loose ball in the Gainesville penalty area -- pouncing after the Red Elephants defense yielded a free kick just outside its penalty area -- to make it 3-1 at the interval. The War Eagles could not maintain their momentum after halftime, however, as Gainesville turned to a combination of surging runs down the wing and direct balls over the top to regain some offensive momentum. 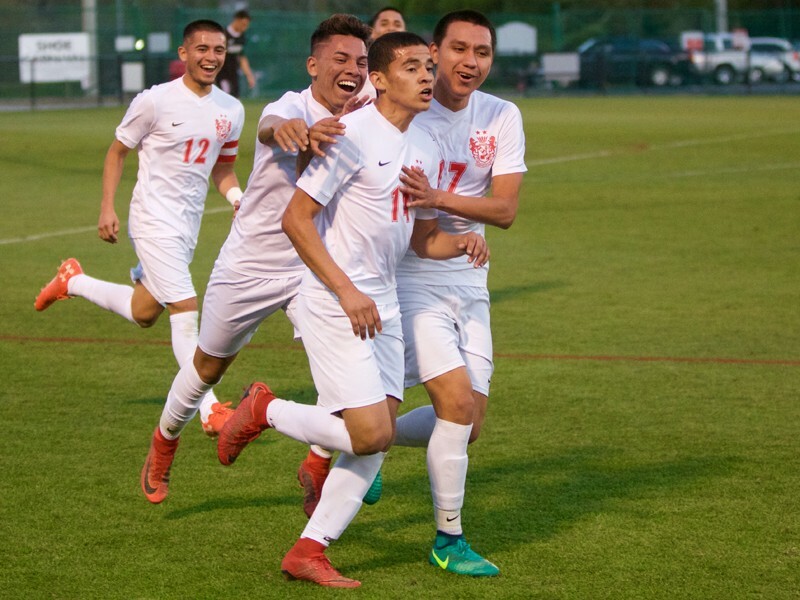 Darvin Vasquez proved the focal point, and his hard work helped set up the Red Elephants' fourth strike, as Chestatee was whistled for a handball in the box, setting up a penalty kick for Edwin Garcia. Garcia buried the spot kick with 28:04 remaining, re-asserting Gainesville's control as it began to look toward what could be a photo finish in a very tight 8-6A playoff race. The Red Elephants netted their fifth on an own-goal that pinged off a Chestatee defender with just 2:46 remaining. "We've got some big games coming up; we want to finish with the No. 1 seed in region for the playoffs because we play so well at home -- the goal we allowed tonight was just the second we've given up at home all season," Viviant said. "It's going to be very tough, but we've still got a slim lead in the region, and we can keep getting better." Gainesville travels to Lanier on Friday. 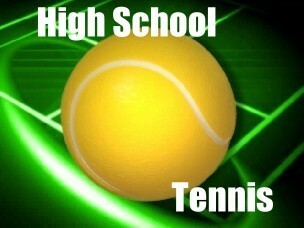 Chestatee is finished with its region season, where it will finish as the No. 2 seed. The War Eagles travel to Jackson County on Friday. The Lady Red Elephants (5-9-1) battled back from 2-0 and 3-1 second half deficits to claim a draw on Tuesday at City Park. Vanessa Camacho gave the visiting Lady War Eagles (5-6-2) a 1-0 halftime lead, and Yesenia Zamudio doubled that advantage with 26:23 left to play, slotting home a rebound. But Gainesville responded less than two minutes later when Amayia Lukie ran on to a Isabela Portes pass and scored from close range to make it 2-1. Chestatee's Kyleigh Drew restored the visitors' two-goal advantage with 16:03 remaining, scoring from the right wing for a 3-1 lead -- only to watch the Lady Red Elephants fight back. Portes and Lukie hooked up again, this time Lukie providing for Portes, who reacted first to a through ball and scored under pressure to make it 3-2 with 12:38 remaining. And just over two minutes later Cindy Bonilla completed the comeback, storming past a defender before slotting home to make it 3-3. Each team had chances to secure the win over the final minutes but could not find the killer touch as the tie held. 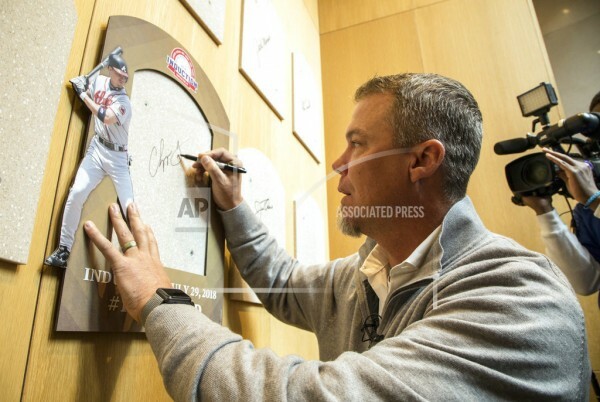 Chipper Jones quickly developed a case of goose bumps that lingered. With baseball history staring at him at every turn, it was understandable.